I am a Senior Lecturer in Environmental Change and Sustainability at Bath Spa University, UK. I’m also Environmental Archaeologist at L – P : Archaeology, a commercial archaeology unit. I believe that archaeology, even the very detailed stuff, is for sharing, and so the results of my archaeomalacological analyses can be searched in this database, and (where appropriate) appear on the South West Britain Palaeobiodiversity Maps These two need updating though! I am a strong advocate of open access publication, and am a joint Editor-in-Chief of the journal Open Quaternary. I am a member of Guerilla Archaeology, a collective who organise archaeology-based public engagement at surprising venues. I was also a co-organiser of Day of Archaeology,and an editor (and project director) of WikiArc, a collaborative online reference tool for archaeologists, and an editor of Kid Vinyl, a e-zine about music. Law, M., and Paul Davies, 2018. Land and freshwater molluscs. In Sandra Lopez Varela (ed. ), The Encyclopedia of Archaeological Sciences. Hoboken, USA: Wiley. Roberts, D., A. Valdez-Tullett, P.Marshall, J. Last, A. Oswald, A. Barclay, B. Bishop, E.
Dunbar, A. Forward, M. Law, N. Linford, P. Linford, I. López-Dóriga, A. Manning, A.
Payne, R. Pelling, A. Powell, P. Reimer, M. Russell, F. Small, S. Soutar, J. Vallender, E.
Hollinrake, A., and Matt Law, 2018. Further Neolithic wooden structures at Walpole Landfill Site, Somerset. PAST 88, pp. 15-16. Law, M., 2017. Numerical approaches to land snail palaeoecology. In Michael Allen (ed. 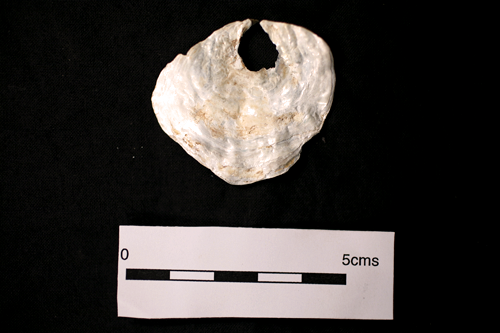 ), Molluscs in Archaeology. Oxford: Oxbow. pp.48-64. Law, M., and Nigel Thew, 2017. Molluscs from dune-machair systems in the Western Island: archaeological site formation processes and environmental change. In Michael Allen (ed. ), Molluscs in Archaeology. Oxford: Oxbow. pp.82-99. Hill, T., John Whittaker, Richard Brunning, Matt Law, Martin Bell, Christopher Bronk Ramsey, Elaine Dunbar, Peter Marshall and Paula Reimer, 2017. Palaeoenvironmental investigations of a Mesolithic-Neolithic sedimentary sequence from Queen’s Sedgemoor, Somerset. In: Mark Williams, Tom Hill, Ian Boomer, and Ian Wilkinson, (eds) The Archaeological and Forensic Applications of Microfossils: a deeper understanding of human history. Micropalaeontological Society Special Publication. London: Geological Society. pp.79-102. Law, M., 2016. Molluscs, in Gavin Glover, Paul Flintoft, and Richard Moore, eds., ‘A Mersshy Contree Called Holdernesse’: Excavations on the route of a National Grid pipeline in Holderness, East Yorkshire. Archaeopress, Oxford.pp. 246-247. Wright, E., and Matt Law, eds. 2016. The How and Why of Archaeology Outreach. AP: Online Journal of Public Archaeology, Special Volume 2. Wright, E., and Matt Law, 2016. Introduction: emerging approaches to public archaeology. AP: Online Journal of Public Archaeology, Special Volume 2. pp.1-4. Law, M., Ffion Reynolds, and Jacqui Mulville, 2016. Back to the Future? Presenting archaeology at the Green Man Festival. AP: Online Journal of Public Archaeology, Special Volume 2. pp.57-68. Mulville, J., Niall Sharples and Matthew Law, eds., 2015. 2010 Hebridean Archaeological Forum. Journal of the North Atlantic, Special Volume 9. Herridge, V., Suzanne Pilaar Birch, and Matthew Law, 2015. Open Quaternary: a new, open access journal for Quaternary research. Open Quaternary, 1 . doi: 10.5334/oq.ad. Law, M., and Colleen Morgan, 2014. The archaeology of digital abandonment: online sustainability and archaeological sites. Present Pasts, 6 (1): 2. pp. 9-11. doi: 10.5334/pp.58. Law, M., 2014. Mollusc shells from archaeological building materials. In Katherine Szabo, Catherine Dupont, Vesna Dimitrijevic, Luis Gomez Gastelum and Nathalie Serrand, eds., Archaeomalacology: shells in the archaeological record. Oxford: Archaeopress, pp. 253-256. Law, M., and Nancy Hollinrake, 2014. The Walpole Landfill Site: wet, muddy & rewarding. British Archaeology, 138. pp. 28-33. Law, M., 2014. [Book review] “This Changes Everything” by Naomi Klein. Geographical, 86 (12), p. 61. Law, M., 2014. [Book review] “Can Science Fix Climate Change?” by Mike Hulme. Geographical, 86 (6), p. 60. Law, M., 2014. Recording breakage in true limpet (Gastropoda: Patellidae) shells. Archaeo+Malacology Newsletter, 24. pp. 9-11. Law, M., 2013. [Book Review] “Negotiating Climate Change” by Amanda Machin. Geographical, 85 (12), p.63. Law, M., 2013. [Book Review] “Climate: A Very Short Introduction” by Mark Maslin. Geographical, 85 (10), p. 61. Mulville, J., and Law, M., 2013. Environmental Archaeology and Community Engagement: activities and advice. Cardiff: CORG/ Association for Environmental Archaeology. (Read online). Law, M., 2013. [Book Review] “What Has Nature Ever Done For Us?” by Tony Juniper. Geographical, 85 (4), p. 63. Evans, J.G., Matthew Law, and Nigel Thew, 2012. Stability and flux in the dune environment, in Niall Sharples, The Beaker-period and Early Bronze Age settlement at Sligeanach, Cill Donnain, in Mike Parker Pearson, ed. From Machair to Mountains: archaeological survey and excavation in South Uist. Oxford: Oxbow. pp. 250-253. Law, M., 2012. Shellfish and coastal exploitation, in Niall Sharples, The Beaker-period and Early Bronze Age settlement at Sligeanach, Cill Donnain, in Mike Parker Pearson, ed. From Machair to Mountains: archaeological survey and excavation in South Uist. Oxford: Oxbow. pp. 247-250. “Introduction to environmental archaeology”, invited talk for South Somerset Archaeological Research Group, North Cadbury, UK, April 2017. “Palaeoparasitology and histories of environmental justice”, paper presented at Theoretical Archaeology Group conference, Southampton, UK, December 2016. “Land snails and environmental change in the Western Isles and Orkney”, paper (co-authored with Nigel Thew) presented at Association for Environmental Archaeology conference, Kirkwall, Orkney, UK, April 2016. “The past in Somerset prehistory”, paper presented at Landscaping Change conference, Bath Spa University, UK, March 2016. “Beyond extractive practice: bioarchaeology, geoarchaeology and human paleoecology for the people”, paper presented at Theoretical Archaeology Group conference, Bradford University, UK, December 2015. “Sustainability in life and work: student creative projects for sustainability communication”, paper presented at Embedding Education for Sustainability in a Creative and Multi-disciplinary Context workshop, Bath Spa University, UK, March 2014. “Prehistoric wetland-dryland interactions on a buried island, Walpole, Somerset”, poster (co-authored with Charles Hollinrake, Nancy Hollinrake and Arthur Hollinrake) presented at Theoretical Archaeology Group conference, Bournemouth, UK, December 2013. “Snails, sand dunes and archaeology in the Outer Hebrides”, invited paper presented to the Conchological Society, London, October 2013. “Share with Schools: widening access, engaging communities and delivering employability skills to undergraduates”, paper (co-authored with Hannah Buckingham, Tom George, Catherine Horler-Underwood, James Jenkins, Melissa Julian-Jones and Dave Wyatt) presented at Knowledge Exchange Conference, Southampton, UK, July 2013. “Provoking the Past: Guerilla Archaeology”, paper (co-authored with Jacqui Mulville and Rich Madgwick) presented at Public Engagement Ambassadors event, Cardiff, UK, June 2013. “Littoral grazing by sheep: direct evidence from dental calculus”, poster presented at the Association for Environmental Archaeology Spring Conference, Plymouth, UK, April 2012. “Snails, Other Invertebrates, and Coastal Archaeology in South West Britain”, paper presented at TAG – Theoretical Archaeology Group, University of Bristol, UK, 17th-19th December 2010.
glad you like our website. Is there any way we can contribute any of our content to your Wiki, and vice versa to yours? And if you’re in London any time over the summer, come and see us, and have a look at the site. It is interesting to see that some of my oyster shell reports are being used. Regarding the right valve survival theory, perhaps I should search out some of the data that I have amassed over the past thirty years from archaeological sites in the south of England, to see if that idea still holds up. I’ll get back to you when I have had a chance to substantiate or refute the original idea. Get in touch any time if you have questions about oysters or other edible molluscs from excavations. I still work as an archaeomalacological consultant (Oysters etc.) but do not have an internet presence yet under that particular identity. I’m thinking of creating a site or blog with .pdf files of all the published and unpublished oyster material. I am mostly connecting my interest in marine molluscs and other nature with photography these days. I work as Artistic Nature Photography at http://www.artnaturephotos.co.uk and have a photographic portfolio at http://www.latentlight.com. I am glad that I came across your site. It has given me the impetus to look at some of my archaeological work again. Spot on, could not agree more. I currently live outside of the academic firewall, and I am committed to making research not just available & accessible, but comprehensible, to as many people as possible. I’m an undergraduate Anthropolgy major at the University of Rhode Island, currently enrolled in an archaeological ethics course. I’m am currently doing a research project on the effects of eBay and archaeological sites and artifacts and was wondering if you would be willing to put a link to a quick survey I have created. I have been reading some scholarly articles on the matter and am quite surprised that there isn’t much research going into the matter. Here is the link to my survey, just in case. Just dropping you a comment to let you know that we’ve just opened up round two of our Ancient World in London Bloggers Challenge over at Heritage-Key.com. We’re looking for blogs about the best ancient site in London – it’d be great to see an entry from you! The best entry this round – picked by a panel of judges at Heritage Key – will receive five books of their choice from Thames & Hudson’s current catalogue. The grand prize is a holiday in Turkey! upload a link and brief profile free of charge, Incidentally , I have a e-book on Amazon that focuses on the Prehistoric features 40 miles around Manchester.